USDA’s Natural Resources Conservation Service (NRCS) in Oklahoma plans to add an estimated 450,000 more acres to the rolls of the Conservation Stewardship Program (CSP) during fiscal year 2016. NRCS Oklahoma State Conservationist Gary O’Neill encourages farmers, ranchers and landowners to submit applications by March 31 to their local USDA service center to ensure they are considered for enrollment in 2016. CSP is USDA’s largest conservation program that helps producers voluntarily improve the health and productivity of private and Tribal working lands through more than 100 different land enhancements. NRCS also makes CSP available to producers as an additional opportunity to participate in regional landscape-level conservation efforts including the Lesser Prairie-Chicken Initiative and Ogallala Aquifer Initiative. Restore habitat for wildlife and pollinators such as the lesser prairie-chicken and monarch butterfly through the use of better grazing systems and improved plant management. 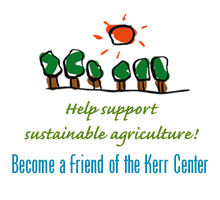 For signup information, see the contact information listed on the Kerr Center’s online events calendar.